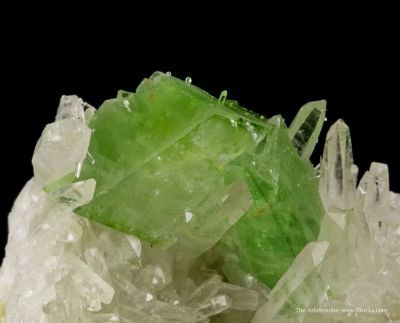 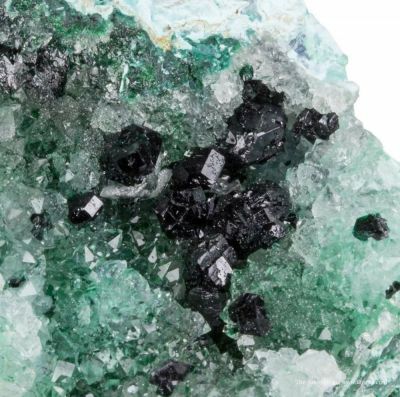 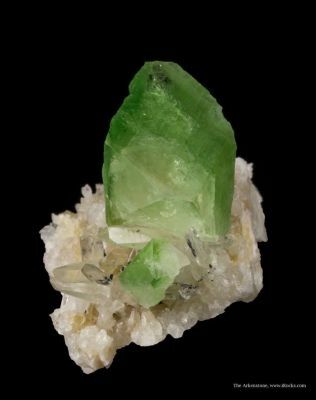 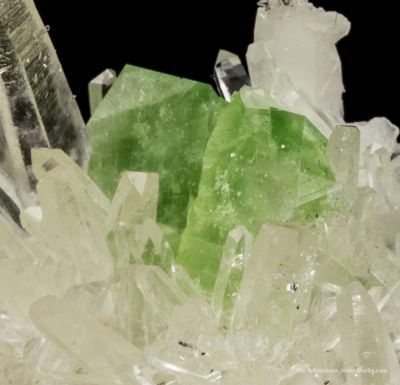 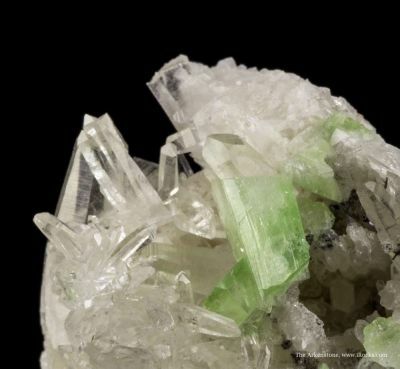 Intense green and gemmy Augelite crystals, from this remote mine famous in the past for Hubnerites, have quite simply redefined what we can expect for this species. 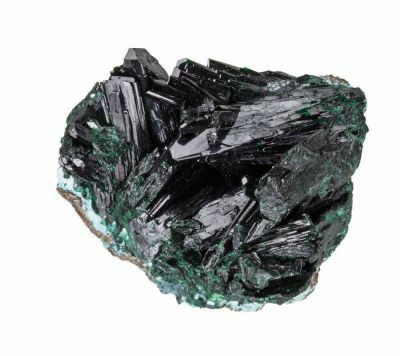 We have had the great privilege to handle a number of specimens directly from the family that owns and works the claims. 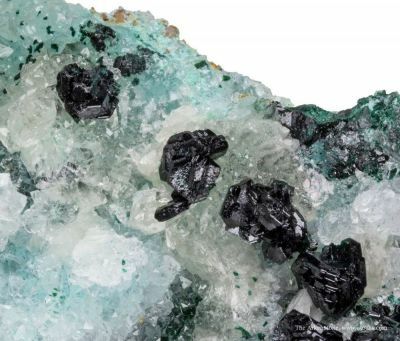 The first specimens to market from here were intentionally mislabelled to hide the true origin ("Ortega Mine" in another province), and these really are from the classic old Mundo Nuevo Mine. 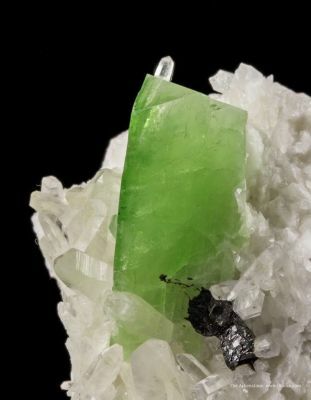 The augelite veins are narrow and small, and run in a section of the mine not worked as much for hubnerite (hence they were missed in the past). 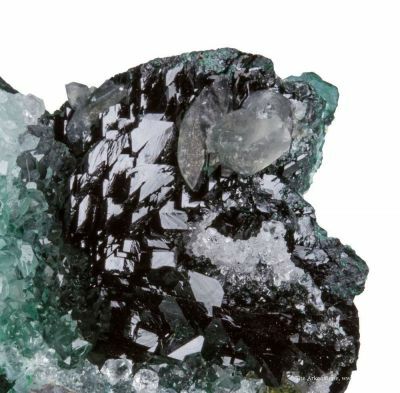 Minor Hubnerite shows up in the augelite veins, but only very rarely. 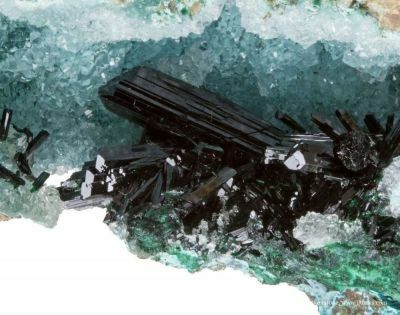 Only a few other accessory minerals occur here. 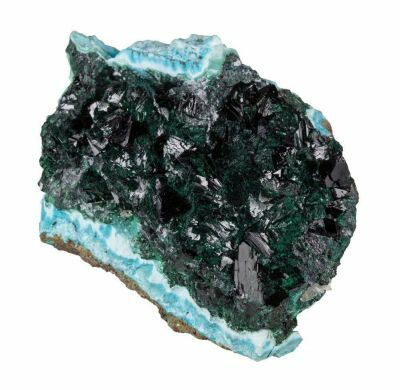 Atacamite is a secondary copper mineral formed through the oxidation of other copper minerals, especially in arid, saline conditions. 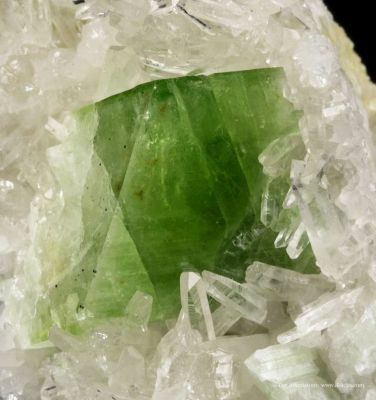 It is rare in the form of specimens on a worldwide basis, with the best having historically come out of Australia - over 100 years ago in the late 1800's! 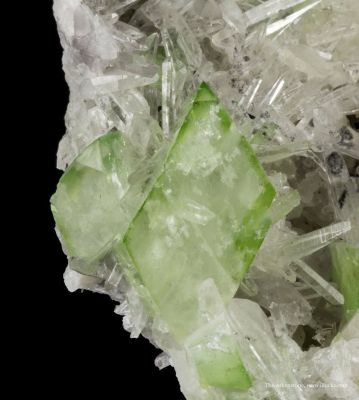 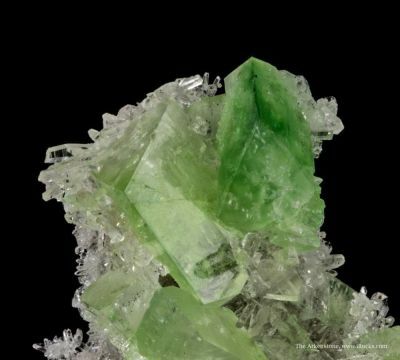 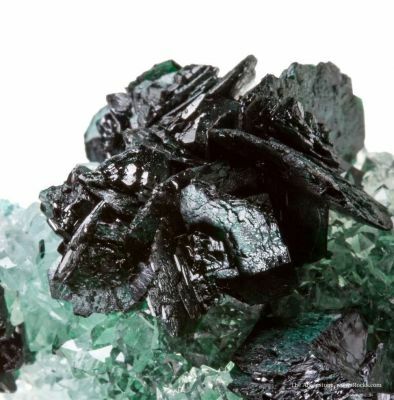 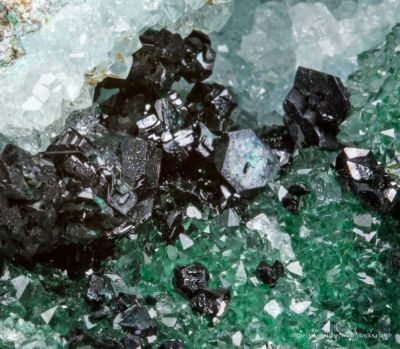 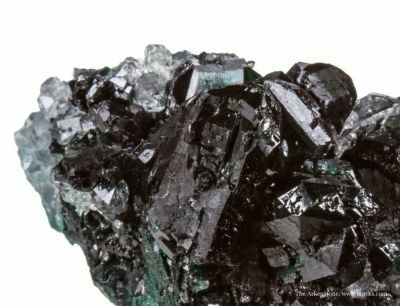 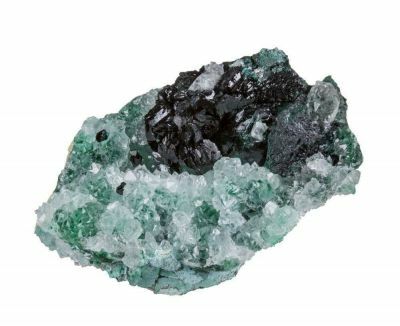 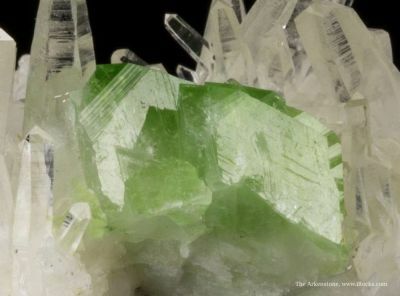 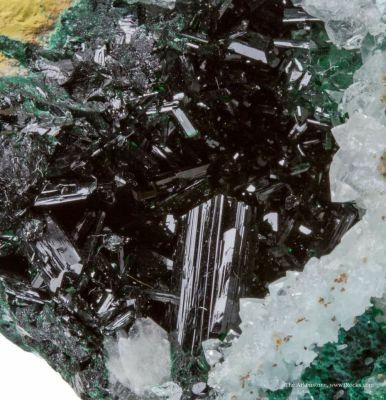 Clinoatacamite is easily confused with the closely related paratacamite and anatacamite (they are polymorphs - the same chemical formula, but different crystal habits). 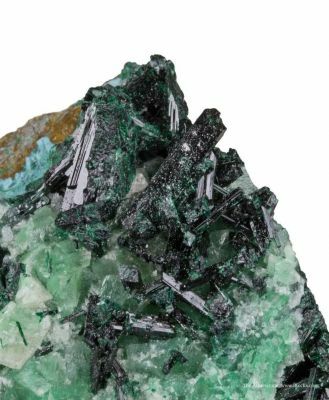 Not only is this new find in Peru giving the fine old Aussie atacamites a run for their money, but it is producing superb, robust, lustrous crystals of BOTH species, sometimes in association, and with beautiful and crystallized matrix! 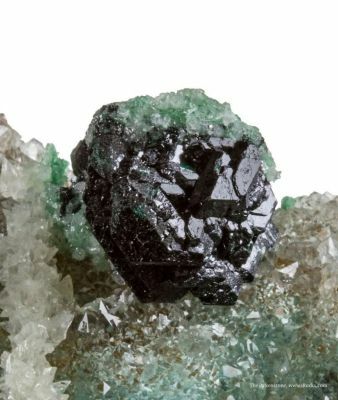 You just normally could not wish for this kind of a well-crystallized rarity to show up for collectors, and this find therefore redefines the caliber of what most collectors can own for the species. 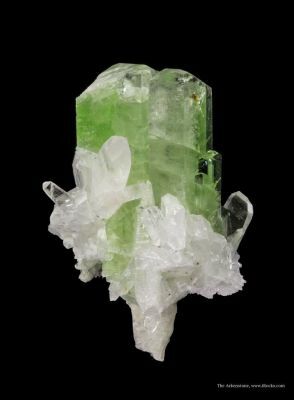 These have trickled out over the last few years but a major vein hit in the late summer of 2014 seems to be the best yet (as represented here).